The RearViz ST-35 is the Sports edition of the RearViz Mirror. With a fully-rotatable base and a mirror that pivots 180 degrees riders can position their mirror anywhere on their arm to find the perfect rearward vision to suit their eyesight and riding style. 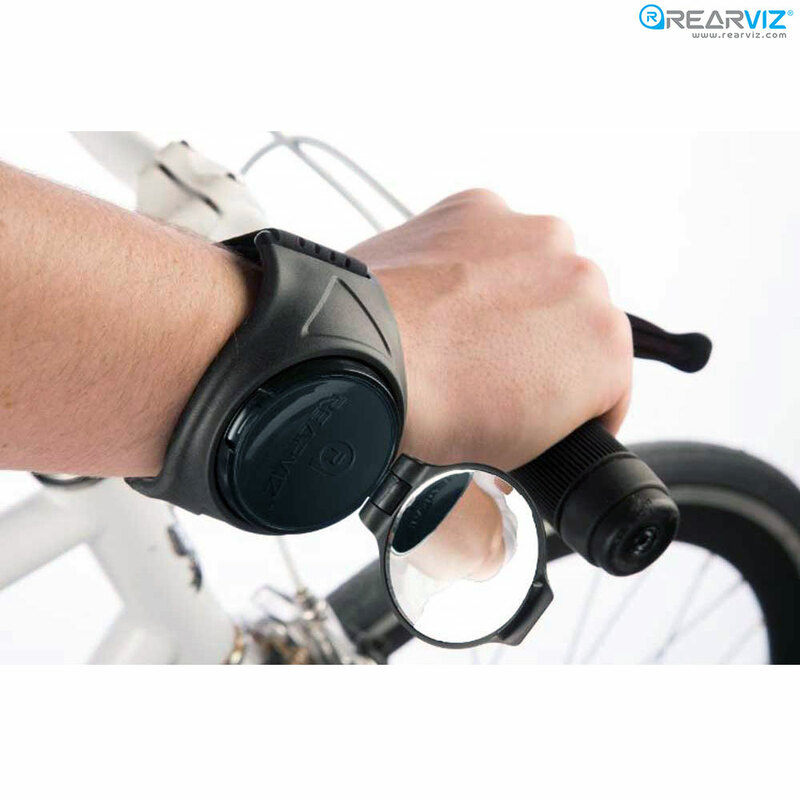 The Sports RearViz is one of RearViz's best sellers as it has a wide, flexible plastic housing to fit comfortably anywhere from the lower wrist to upper forearm. With a 2-year UV resistance guarantee and high quality materials used, your new RearViz will last you a lifetime! The Sports RearViz also comes with a Universal (one size fits all) Armband, making it a perfect fit for any rider.